Description: Tom used to be a lot of things: assassin, interrogator, sadistic. But for the past decade he’s worked on being a better person, a good father to his loving daughter. But for a man with his past, a bullet is the only end he can expect—he just hopes his daughter will survive the inevitable fallout. Doro has no illusions about himself: provocateur, infiltrator, killer. After years of civil war, the Vaylen Family has settled, and their leader wants to tie up loose ends. That includes getting rid of the only man to ever walk away from the family, and it’s Doro she sends to get rid of the man once known as The Devil. Review: Why isn’t there more?! 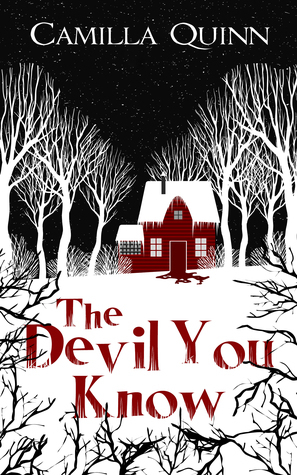 I really enjoyed reading The Devil You Know. If it weren’t as short, there would have been the potential of a 5 star rating. Sadly it is rather short and therefore it feels a little bit rushed at times. I would have loved to dive even further into Tom’s head, his past and his DID. I can’t tell you how realistic and sensitive this is handled though because I’m not ownvoices. But I can tell you that it isn’t wrongly called schizophrenia like it is so often found in media and in everyday use. The way Tom and The Devil ‘interact’ (for a lack of better word right now) with each other and with other people was really captivating. I didn’t connect as strongly with Doro and Tom’s daughter (I should have written down her name somewhere), but I was still interested in them. I was a little bit baffled at times about Doro’s reactions about Tom but if we get a better look into his past and a in detail development between them? No more doubts on my side about this. (It would be too spoilery to tell you what exactly I mean if you haven’t read this book). I don’t know why this was labelled as a romance on NetGalley though. There is the potential of one in a sequel – if there ever is one – but in The Devil You Know there is none. But maybe it would be rather a dark romance? Last Words: Please let there be a sequel? I need a sequel.